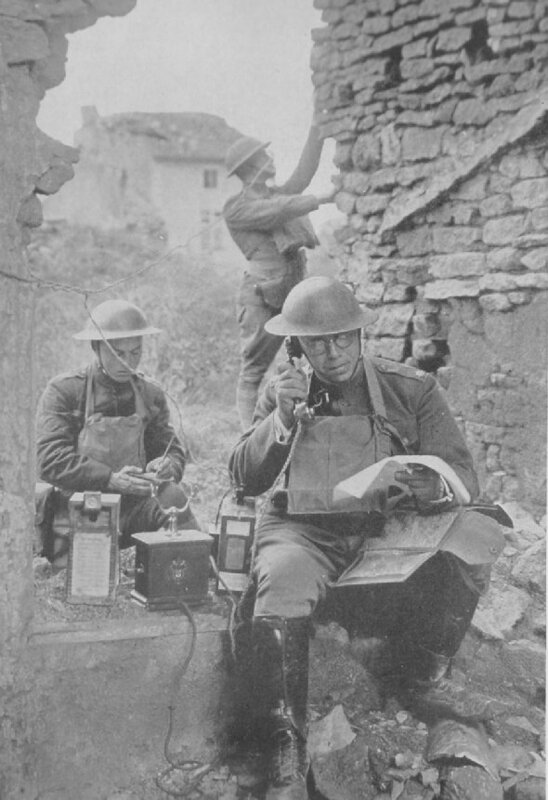 Lieutenant-Colonel R. D. Garrett, Chief Signal Officer, 42nd Division, testing a captured German telephone, Essey, September 19. 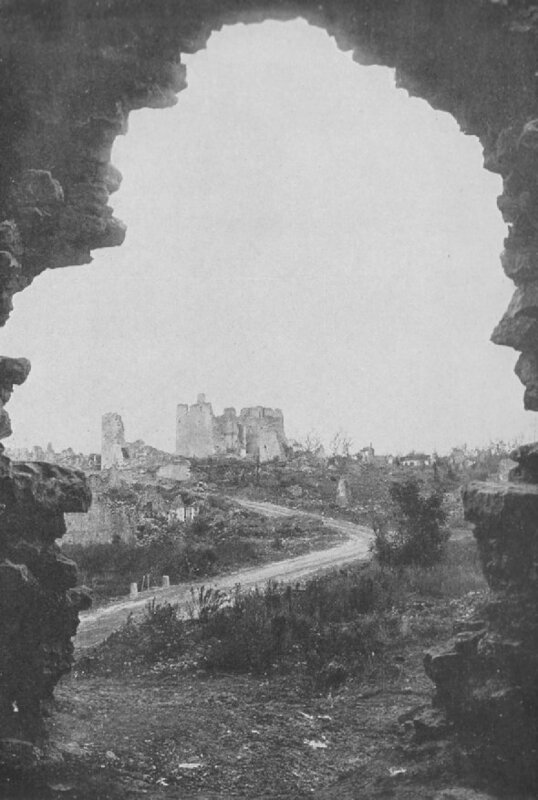 View of the ruins of St. Baussant taken from what remains of a German machine gun post. St. Baussant.